Does the field need a professional wargaming journal? In a blog post over at Play the Past, Matt Kirschenbaum asks the question what can be learned from wargaming? It is an excellent discussion, and I would urge everyone to go over there and read the whole thing. For now, however, I wanted to pursue one small issue that he raises in his discussion, namely the absence of a “peer-reviewed journal to serve the professional wargame design community.” There was some discussion of this at Connections 2011, and I know a few folks think it would be a useful contribution both to refining the art and building a professional community of practice. It is a hell of a lot of work. It really is—and if a journal is to continue to function year in and year out it requires a significant body of dedicated volunteers. Is there such a critical mass? And if there is, are their efforts best spent chasing down contributors/arranging peer reviews/editing poor English/looking for missing citations/dealing with publication deadlines/etc.—or ought those energies better spent on other possible professional initiatives? 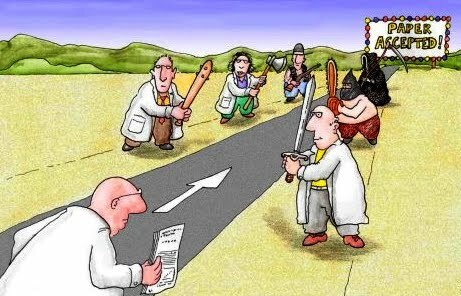 A serious peer-reviewed journal will need 1-2 dozen high quality manuscripts per year (which might well involve triple that number of submissions each year if it shows some editorial discrimination and only publishes that which deserves to be published). Is there that much professional output out there? I have my doubts. A professional wargames journal is likely to only be read by—well, let’s face it— professional wargamers, and a few others. My sense, however, is that the field needs to both “evangelize” more with new constituencies, and to build stronger linkages with a variety of overlapping research communities: technical M&S, serious games, the even larger (and rapidly growing) interdisciplinary field of ludology/games studies, and scholars working in a wide range of social science (and other) academic disciplines whose work is relevant to what professional wargamers do. I would worry that the energy spent on a journal would be too inwardly directed, when outward connections have a bigger potential pay-off. My own sense is that rather than setting sights too ambitiously, it makes more sense to work first on issues of professional networking, communication, information- and idea-sharing and so forth, probably in more informal and less-labour intensive ways. Sure, everyone would love to be the next Small Wars Journal—but they have a much larger potential audience (numbering, literally, in the tens of thousands), and people like Dave Dilegge, Bill Nagle, and Mike Few put in an insane amount of work there to make it all happen. Professor, Department of Political Science, McGill University. This entry was posted in Community Development. Bookmark the permalink. 11 Responses to Does the field need a professional wargaming journal? I wonder what the relative division in time is for the SWJ staff on the different elements of the site. It seems that the blog (which is really both a blog, and a space for posting individual articles that are longer and more substantial) and some form of a forum would be the two most relevant pieces, and that that might be a more reasonable work load to maintain. I think Rex nails all of the practicalities behind what’s needed to launch and sustain and journal, and I suspect he’s right that the . . . community? field? hobby? profession? isn’t quite there yet. That said, it becomes all the more important for those of us who are professionally or academically invested in wargaming to begin making inroads into the established literature in neighboring communities. And this is a two-way street: while we can bemoan the lack of visibility of wargaming as compared to a book like Reality is Broken, we nonetheless have a responsibility to take seriously the rather large amount of scholarship being churned out nowadays under the general umbrella of “ludology,” and bring what’s useful and relevant to bear on our discussions. I really love the point here about the need to publish in allied fields, both because I’m a publication advocate, and because I think gaming is strengthened by closer ties to its allies. One of the things the CASL bibliography has in its newest edition is a collection of what we thought were useful work from allied fields, including red teaming, game theory, small group decision theory ect. One thing that I would personally find a helpful resource is collective thoughts on what those fields are, and (more relevantly to the ongoing conversation) what publication might be hospitable to game based articles, particularly when it comes to “professional” peer reviewed journals. University of Minnesota Press also has a strong list, especially their “Electronic Mediations” series. In terms of journals in games studies, Eludamos.org and GameStudies.org are good sources. It is interesting that in a sense ‘war’ cuts across all fields: when people are fighting for their lives, they will use any and every aspect of their experience to win. So it seems natural that items pertinent to wargaming can come from almost any quarter. Figuring out what is germane, and what is not, will always be tricky, since both sides in any conflict will try to outwit the other. The wargamer is left in the middle to figure out from which sector the worst / most likely threats will come. A fun example that comes to mind is Sir Francis Drake’s destruction of barrel staves, which lead to the Spanish Armada sailing with poor barrels, which certainly did not help them. There was no ‘Journal of Barrel Technology’ back in ‘the day.’ But if there were, an article in it might have tipped the Spanish off to be more protective of Cadiz. Filtering out what is important and what is not is certainly a difficult and important task. And Rex, being one of the most publicly-visible members of the community has certainlyhelped us all make great strides in that direction. The thing is, there’s a community of practitioners – some of whom were more high-profile members of the Connections team – who have been banging this drum for a decade. To those who only recently jumped on the Connections train (and its somewhat-associated partners like the Origins War College) this might all seem to be moving very fast. When Connections lands at NDU and we have so many first-time attendees because the stature of the host raised the visibility of the gathering it’s not a surprise that there would seem to be a disconnect in the perspective of how fast things are moving. No one is saying that any of the actions will be perfect out-of-the-gate. But in the past, the closest thing we’ve had to a record of what even happened at Connections was Matt’s collection of slide decks. No one is saying we need to be MORS or SWJ tomorrow. But if *no* movement comes out of the recent enthusiasm that was evident at Connections, you’re going to lose a lot the community that’s spent the last 10 years as the flag-bearers for wargaming. A few questions that I have, given the looming budget cuts to the American Military (be it $600B or $1.3T), are: How will that affect this field? Will more resources (wisely) go into war-gaming or will penny-wise and pound foolishness prevail? And is there anything we can do to help influence that decision? Looking backward from 2021, we may see that only a few ‘die hard’ wargamers have survived. Thinking about a professional journal today, one may want to take that into consideration. This comes out of a conference panel we did at the annual Digital Humanities conference a couple of years back. Phil was able to relate the kind of modeling that interests him to the kind of modeling and simulation of cultural heritage that digital humanities engages. While I agree with Skip about the way wargaming cuts across so many different fields and it’s great to have such a plurality of venues (literary and linguistic computing! ), it does make it difficult to find things.